Inspired by the British Open at Carnoustie and that roller coaster finish, we are brimming with ideas for how you can enjoy a golf break here in Angus. 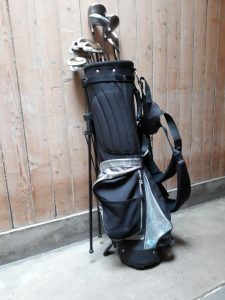 No matter what level of handicap you hold (or indeed if you are just starting out) the area is teaming with beautiful golf courses to suit every level of golfer. This area of Scotland (Angus and Fife) is after all the home of golf. 7 of the top 10 oldest golf courses in the world are located here in this fabulous dune lined coastline. Some of the very best courses in Scotland lie close to us here at Kinnaird Castle. The focus has been on Carnoustie but St Andrews and Fairmount are also within an hour’s drive of the castle. The highly acclaimed Trump course is also just an hour away. If groups wanted to stay more than 3 or 4 days, then Royal Montrose has always given guests a warm welcome and is a challenging links course amongst the oldest in Scotland. If you do not need to indulgence in the ultimate in golfing experience there are plenty of courses in the area that players that match enjoyment but are less well known. The Rosemount at Blairgowrie lies inland with views over Perthshire, the Stonehaven course has spectacular views over the cliffs and we love our very local ones at Montrose and Edzell with a backdrop of the Grampians. The value for money that these courses offer is another attraction. There was a small pitch and put course laid out around the castle and although that is no longer in use the lawn in front of the castle is a great place to put in a little practice. Edzell has a fabulous 9 hole course that is very good value and the club is so welcoming. Perhaps it is time to get practising. You never know whether you might one day join the great golfers at the Open. Using Kinnaird as a base takes all the hassle out of moving around so now is the time to dust off the golf shoes and book.